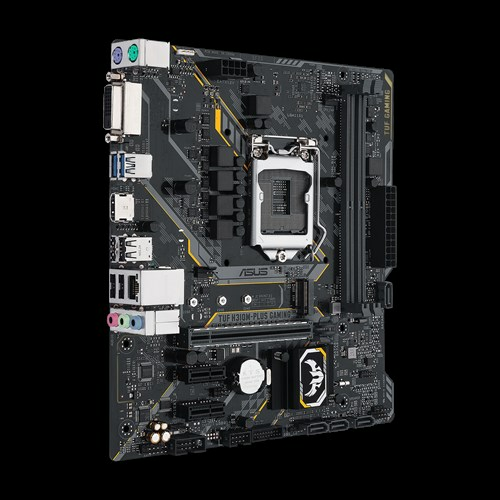 The focus of manufacturing TUF Gaming motherboards is to use highly durable components for providing higher sustainability. 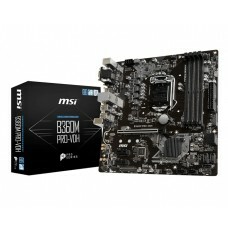 The company has collaborated with the TUF Gaming Alliance to ensure easy building alongside with best compatibility as well as best protection. 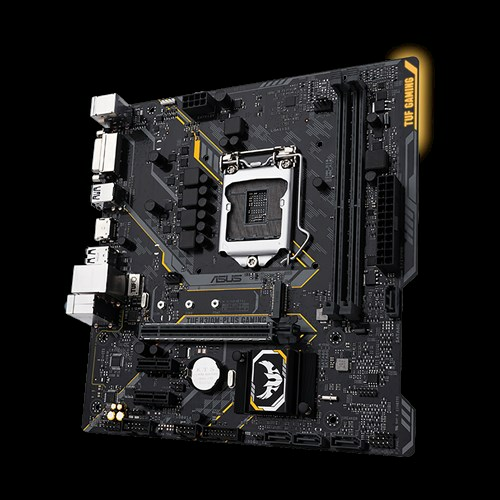 The TUF boards has introduced innovative design for easy and safe DIY builds and unique combination of military-grade TUF components, TUF Protection for stronger gaming built. 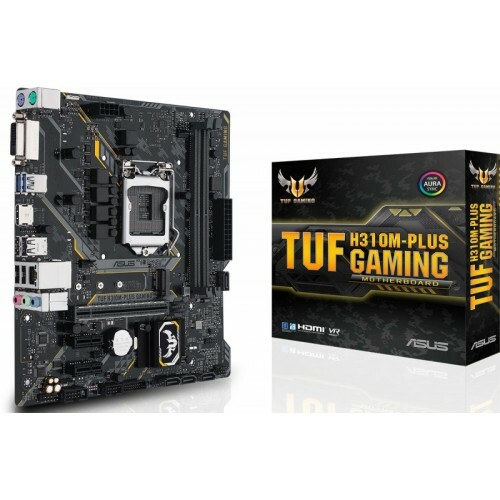 Asus TUF H310M-PLUS GAMING mATX gaming motherboard compatible with Intel 8th gen (Socket 1151) i3, i5 & i7 processor. This aura sync RGB board also supports dual channel DDR4 maximum 32GB memory and it has the capability of lightning-fast 32Gbps M.2 and native USB 3.1 Gen 1 interface. 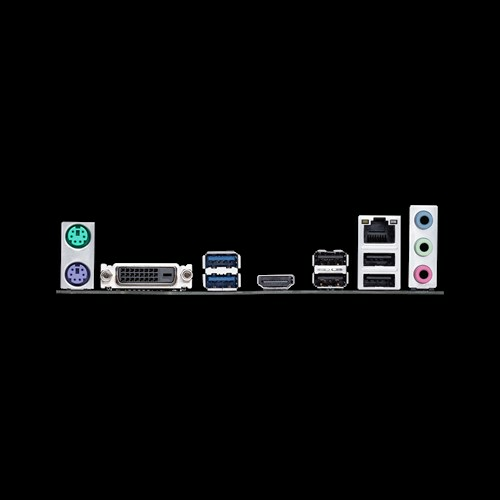 Focusing on the graphics, it will support Intel HD graphics with 1024MB shared graphics memory and having the maximum resolution of 4096 x 2160 @ 24 Hz / 2560 x 1600 @ 60 Hz for HDMI & 1920 x 1200 @ 60 Hz for DVI-D slots. 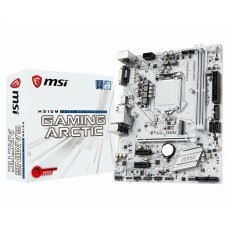 This military-grade TUF material motherboard has Multi-VGA output and Asus Optimem for stable performance. 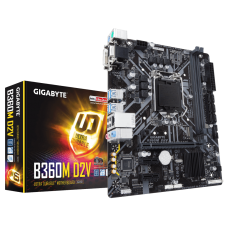 This board has few special features such TUF Protection that includes SafeSlot, ESD Guards, DDR4 overvoltage protection, Digi+ VRM, and stainless-steel back I/O for long run benefits. TUF LANGuard, TUF Chokes, TUF Capacitors, and TUF MOSFETs are equipped on as military-grade TUF components to ensure maximum durability. Moreover, Aura Sync RGB can synchronize LED lighting according to your likeable devices. 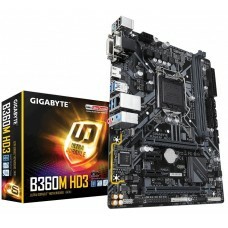 These highlighted features are attractive enough to encourage to purchase this board at best price from Star Tech.